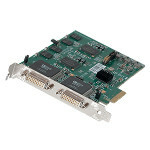 The Datapath iolite 600/102 offers users the ability to include up to 6 of Datapath’s video capture, graphics or IP decoding cards. Combined with a high performance Windows system the iolite can; drive multiple screens simultaneously, delivering video captured from a range of sources including media players, television set top boxes and online & local media. 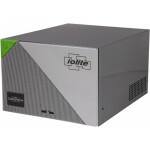 The iolite is available as standard with an Intel Corei5 processor, 256GB SSD hard drive and 8GB of RAM. Upgrade options are available to allow the inclusion of additional, higher capacity SSD drives, more memory and an Intel Corei7 processor.